This is the fourth and final story of a small Spanish travel.The first, comprehensive, focused on renting a car, the second for travelers level «light», introduces the basics of traffic in the country and the city of Alicante in particular, the third for travelers rank «medium», telling us about the long trip to Barcelona, and this, fourth, travel category «hard», present the vinaigrette impressions of a number of other Spanish cities and in the country as a whole. — You guys are going somewhere, or just going? — We do not understand the question, but it was a damn good question. Many of us love cars are not only for a powerful engine, a stable suspension or leather upholstery.For some, the noun "car" — is almost synonymous with the word "movement". So who is not a fan of vehicles, to be the most restless travelers…? 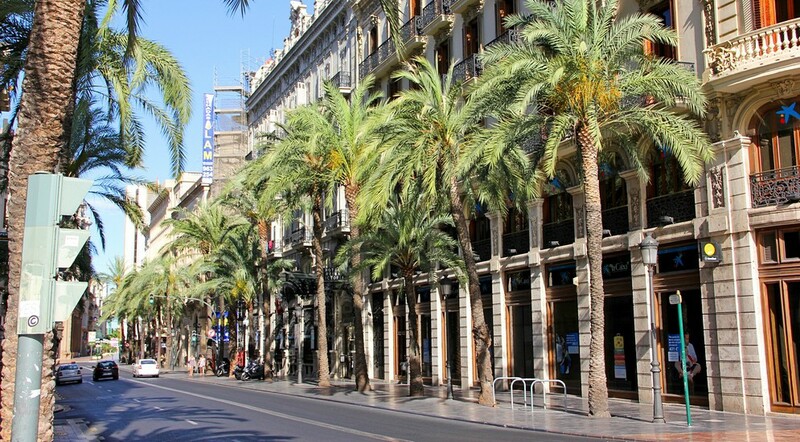 When all the beaches of Alicante have been tried, and tourist "Mecca" — Barcelona — gave fresh impressions, stop on achieved no longer wanted. Spain — a huge country. Its political, economic, cultural and geographic center at the same time is the capital — Madrid. This city became for us the next destination. … Madrid, in fact is a strange city. I am sure that the first time anyone doesn’t like it. It absolutely is not what accustomed to waiting from Spain … But when you know him better, you will feel that this is the most Spanish city in Spain. There are many versions about the origin of the name of the Spanish capital. In one of them word comes from the Arabic Madrid «majra» (water source), on the other — from the old Spanish «maderita» (forest growth).The emblem of the city shows a bear, regaling fruits of the strawberry tree. Have you ever heard of the arbutus?This plant is not unique to Spain. Arbutus grows in Russia, Mexico, and in Portugal.His intoxicating (if you eat too much) berries taste like a persimmon — are often used for making jam or alcohol.According to the historians, on the emblem of Spain this plant symbolizes new lands, attached to the possessions in the early thirteenth century.But the animal was present here before. Then on the beast was depicted eight stars, indicating the pattern of the Big and LittleDipper. The first mention of Madrid dates from the beginning of our era. Foundation of the city is credited with the Arab emir Muhammad I.And thanks to the Muslims in the ninth century, Madrid got its own "Kremlin" — Alcazar fortress. The building has undergone not only one renovation and as a result became the residence of the Spanish monarchs.Unfortunately, this is no longer possible to visit the attraction — the building was destroyed by fire on Christmas 1734.Then the world culture has lost a huge number of paintings by Leonardo da Vinci, Diego Velazquez, Bosch, Brueghel and other painters.Now, the East Royal Palace is on the Alcázar place. Its construction began just four years after the disaster.As planned by Italian architects, the palace was to become the Spanish analogue of the French Versailles. Today, the King does not live here, but the palace is still the venue for all official ceremonies. 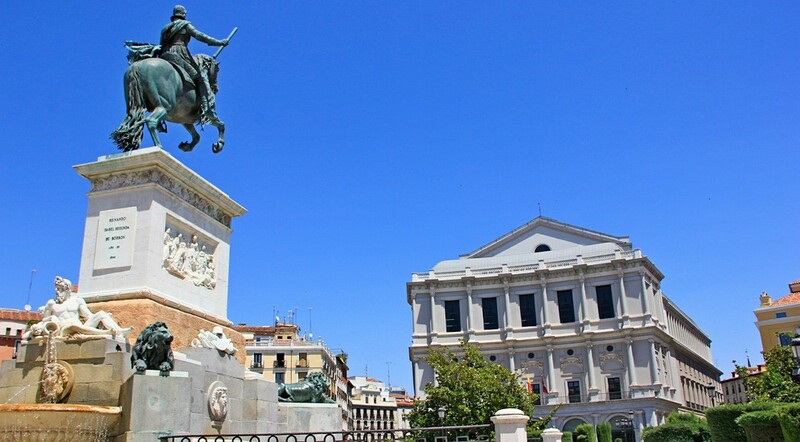 Many key attractions of Madrid are in a walking distance of the Royal Palace. Primarily this is the Plaza Mayor (Main Square).Several centuries ago, there was a central market. Then the buildings were wooden and due to frequent fires, over time been subjected a radical redevelopment.Today, the Plaza Mayor — is the area enclosed in the right quadrangle of one hundred thirty-six stone buildings.Nine arched thoroughfares lead in here. There are all houses of the perimeter with balconies, once served for easy observation of the passing on the square celebrations, bullfights and executions.These events usually not got along without the visit of the monarchist family. The king and his retinue were located here, in the quarters of the Casa de la Panaderiya (Bakery).House got its name from the one of three courtiers bakeries, occupied the ground floor. The second most important area of Madrid is a bustling Puerta Del Sol (Gate of the Sun). There is a central geographical "zero" point of the capital.From it is counting distances across the country. Puerta Del Sol in Spain first met the majority of the innovations: gas and electric lighting, horse-drawn railway, tram, car, subway. Right here now is possible to admire embodied in bronze symbol of Madrid's "The Bear and the Strawberry Tree". Among other interesting objects — an old post office building, Government House and the Academy of Fine Arts, where at one time studied Miro and Dali.Although fans of painting, of course,primarily will be interested in the Prado Museum. This building is just minutes’ walk from the Puertadel Sol, on the Paseo del Prado. Indirectly touch the literary creation is possible in the famous cafe "Gijon" in the Paseo de Recoletos. Restaurant was founded as early as 1888.Since opening, it enjoyed great popularity among writers, poets and other famous people.In different years the guests of the "Gijon" were Jose Canalejas, Federico Garcia Lorca, Mata Hari, Truman Capote, Ava Gardner, Orson Welles, Luis Bunuel, Salvador Dali, and Ernest Hemingway. Madrid is certainly large and businesslike city. Saturated vehicular traffic, parking difficulties, the bustling crowds and bring back memories of the concept of "metropolis".Madrid could captivate and will not get bored anyone. But since our tour was held under the slogan "Crossing Europe", the next morning we met in the four hundred kilometers from the capital. 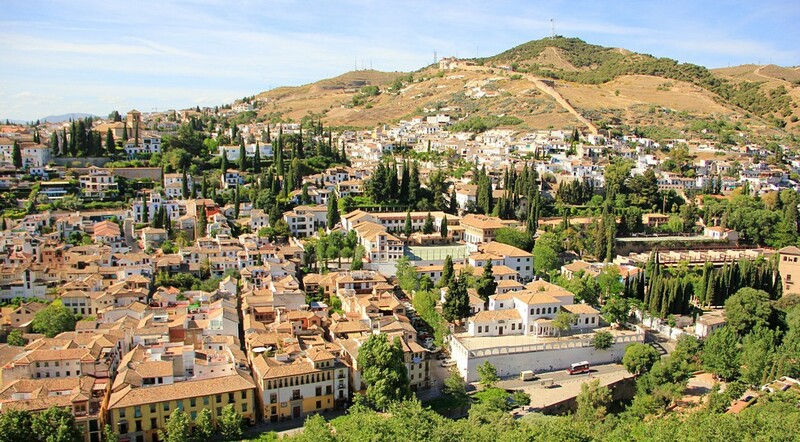 The history of Granada is even more ancient than the history of Madrid. Its appearance, it also obliged to the Arabs.The main jewel of the city — the world famous architectural and park ensemble of the Alhambra (yes, Seat Alhambra is named in its honor), was created precisely in times of Muslim rule.Flower alleys, sparkling fountains, slender columns, stone carving, Arabic ornaments — all this creates a unique look of the palace. You need at least a day for a visit to the Alhambra. Be prepared to queues — thirsty to touch the beautiful come to Granada primarily for the sake of the "red castle".It's worth noting that a Moorish architectural masterpiece located on the Mount Alsabika.Without preparation to get to the castle is not so easy.Maps help pave the driving route straight to the park surrounding the old castle, but the more intriguing it may be walking the walk upward from the foot of the mountain.Among the possible routes — a narrow rocky staircase got lost among small houses. 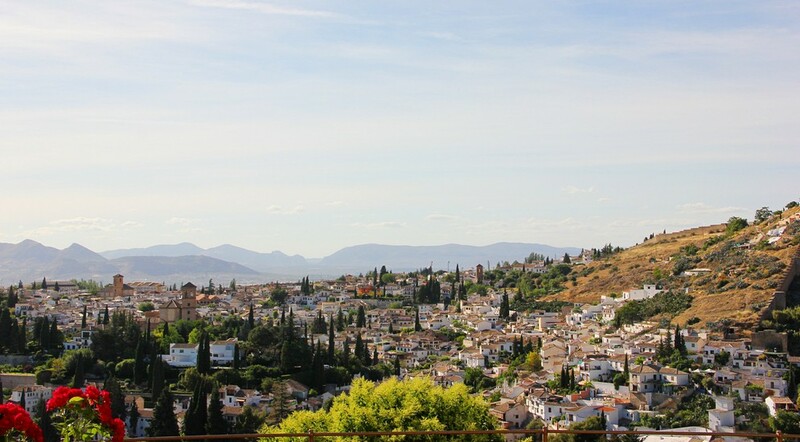 From the top of the hill from the walls of the Alhambra offers stunning views of the lying in a valley Granada. 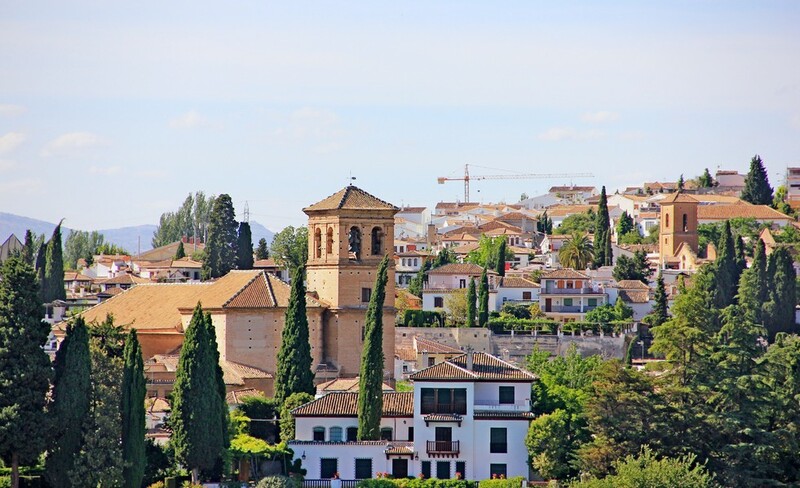 Among other things, Granada is also known as a city of students. Superfluous proof of that is International Winter Universiadewhich took here in early 2015.By the way, the first place in the number of medals overall and gold medals in particular in the list of forty three participating countries took Russia. The third largest destination was the elegant seaside Cartagena.The distance between it and Granada is about three hundred kilometers.The town founded by the Carthaginians, and initiallycalled New Carthage.Over time, the refinement of the "New" fell away, and "Carthage" has turned into "Cartagena".During its long history the city has experienced numerous wars of conquest, periods of rapid development and complete decline.Modern Cartagena is a cozy and quiet town, with a large bay, the romantic port, the remains of the pirate fortifications, the ruins of the ancient cathedral and the ancient Roman Theater. One of the main attractions of Cartagena is the Castle of Concepción, located in one of the five urban hills.Despite the fact that the fortress is a symbol of the city of Concepcion narrowly escaped destruction — the city authorities had planned to liquidate ruins, but at the last moment refused this idea and ennobled the territory.Now tourists can visit this ancient building, admire the panorama of the city and the port from the walls of the medieval fortress, walk in well-kept garden and feel their connection with the past centuries. Another romantic place of New Carthage is a lighthouse of Cabo de Palos. It is a twenty-five minute drive from the city.The lighthouse is known by several historical battles and mentions in adventure books of native of Cartagena, a writer and journalist Arturo Perez-Reverte.Among other things, the Cape of Palos is very popular with diving fans. The final chord of ourimpetuous trip was the Valencia. It turned out that it is the third most populous city in Spain (the first place, as you might guess, is firmly retain Madrid and Barcelona). Euphonious name comes from Latin and literally translated means "fortress", but could also be interpreted as a "good omen".Founded by the Romans, Valencia has experienced more than one change of authority.By the fifteenth century, the city received the status of an important trade center for Europe — one of the oldest architectural monuments of the city is building the Silk Exchange.Another popular attraction of the city is the Cathedral of the thirteenth century, in which for centuries kept one of the sacred relics, the instrument of the Passion — the Holy Grail. Special attention in Valencia deserves a modern complex, which stands at some distance from the historic center. 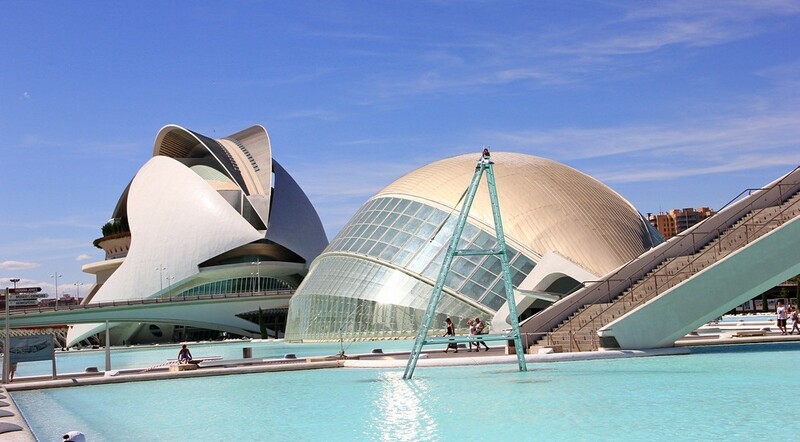 "The City of Arts and Sciences" are five bright and grandiose constructions that combine opera house, planetarium, gallery, science museum and Oceanographic pavilion.Here you can spend a whole day: to try yourself in the role of a surgeon and conduct the staged operation, to find out if there is the seventh satellite of Jupiter, ridein the Zorb, enjoy traditional Valencian sweets and see firsthand the fantastic fish-moon. Incidentally, the "City of Arts and Sciences" is in the dried riverbed Turia.Apart from the huge futuristic complex here created ten-Park: a summer stage for open air concerts, a skate park, a huge playground based on the works of Jonathan Swift's Gulliver's Travels, a lot of sports facilities and areas for rest on the grass and walks with pets. Spain — a huge country. Each of its regions and each itscity interesting and unique in its own way, and the delicious food, the national temperament and good roads are guaranteed everywhere.Apart from the big cities are worthy of your attention are also hundreds of small settlements. Because, being in this country, not refuse yourself the pleasure — get behind the wheel and open your own Spain. Block Mitsubishi © 2019. All Rights Reserved.